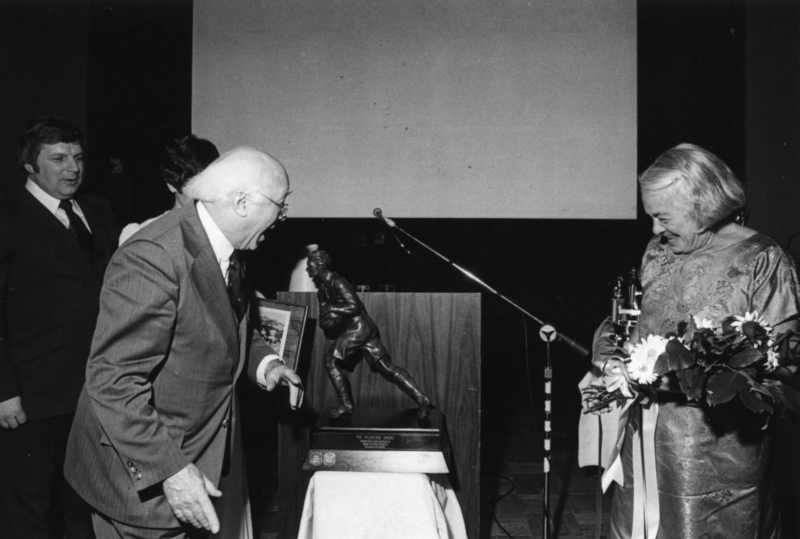 Item is a photograph of Henry D. Hicks presenting the Dalhousie Award to Aileen Meagher. A caption attached to the back of the photograph says "Aileen Meagher, former track star and Nova Scotia's first Olympic woman competitor received the Dalhousie Award for great contribution to Nova Scotia sport, from Dal's president, Dr. Henry D. Hicks."